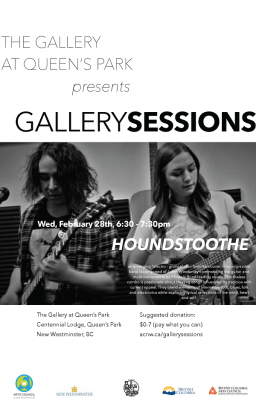 HOUNDSTOOTHE is an emerging “electro – grunge” duo from Vancouver, Canada. This progressive band is comprised of Julian Winstanley commanding the guitar and multi-instrumentalist, Phoenix Bond leading vocals. This tireless combo is passionate about creating songs influenced by tradition with current appeal. They blend elements of alternative rock, blues, folk and electronica while exploring lyrical reflections of the mind, heart and self.